We nominate these two for most beautiful celeb newlyweds. 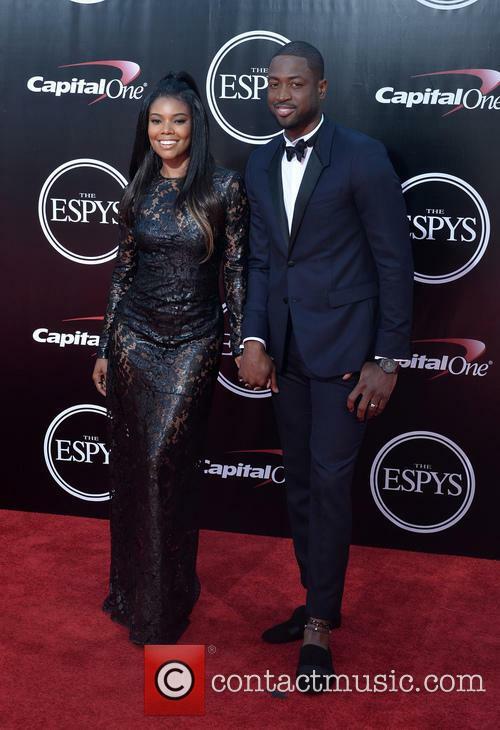 Congrats to Gabrielle Union and Dwayne Wade, who just tied the knot on Saturday, August 30. The couple kept the celebrity habit of marrying in castles – fitting for modern day aristocracy, really – and had their big (well, not that big) do at Chateau Artisan in Miami. Beautiful couple award? We think so. The intimate gathering was attended by a small group of close friends and family, including John Legend, who performed at the wedding reception. 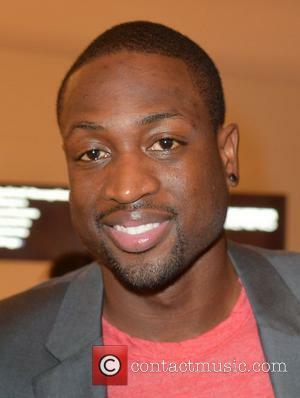 This is a second marriage for both 41-year-old Union and 32-year-old Wade, who plays for Miami Heat. His proposal back in December was a rather endearing moment, aided by his two children from a previous marriage, sons Zaire and Zion, and his nephew, Dahveon, whom he's raising. Yes, Another Celebrity Wedding: Gabrielle Union And Dwyane Wade Tie The Knot! Gabrielle Union and Dwyane Wade have married in Miami. Congratulations are in order for another celebrity couple! Actress Gabrielle Union and her basketball-playing beau Dwyane Wade have married in Miami. The couple got engaged in December 2013, but began dating in 2009. 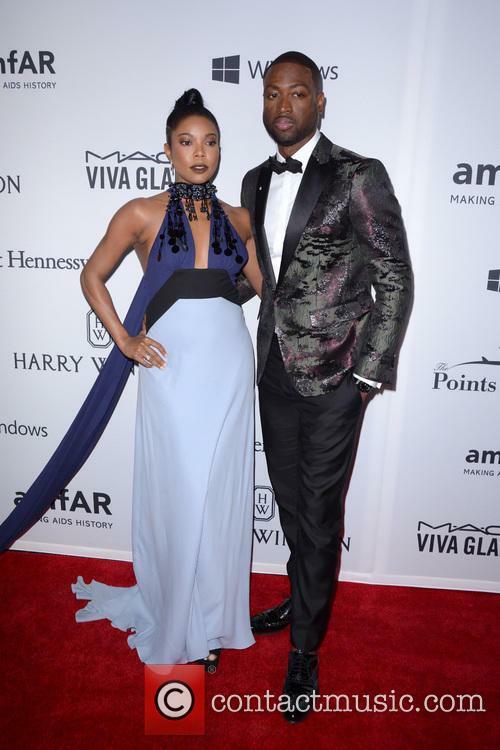 Their relationship has been rocky at times, with the couple splitting temporarily in early 2013 due to Union's desire to focus on her career, and during time apart, Wade fathered a child with Aja Metoyer, but it looks like they're both back to being loved up! 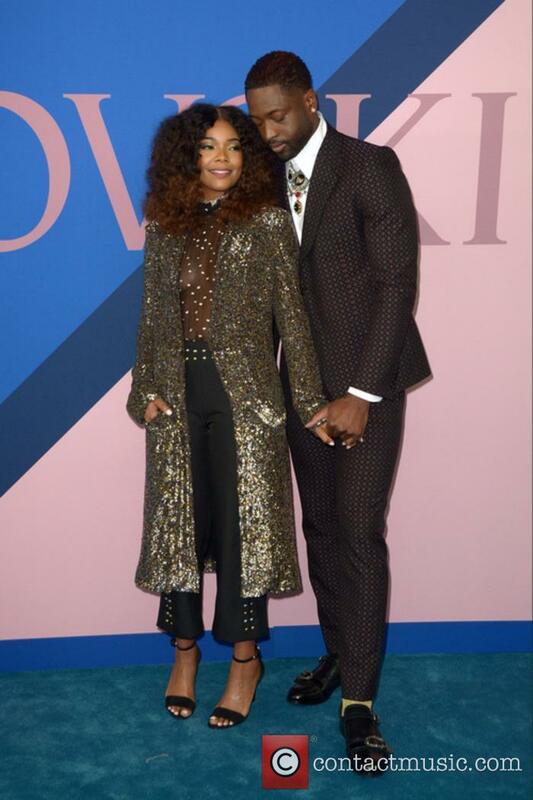 Continue reading: Yes, Another Celebrity Wedding: Gabrielle Union And Dwyane Wade Tie The Knot! Dwyane Wade and Gabrielle Union may have gotten engaged just before Christmas this year, but despite whatever positivity this eventual union may convey, under the surface not everything is as rosy for the pair as it seems. The pair have been dating on and off since 2007 and during one of their off periods earlier this year, Wade hooked up with an unknown woman, with their night of passion resulting in a child for the Miami Heat guard. There had been rumours and reports floating around for some time that implied Wade had fathered a child out of wedlock with a woman that was not Union and on Monday, 30 December, Wade finally addressed these rumours and confirmed them as true to ABC News prior to the Heat's game against the Denver Nuggets. Wade said that the child, a son, is about a month old, with his conception coming whilst he and Union were on a break from each other. Vowing to be as devoted to his new son as he is to his two other children, Zion and Zaire - both of whom are from his previous marriage to Siohvaughn Funches - the birth of his lovechild doesn't seem to have harmed his relationship with Union as much as it would be expected. 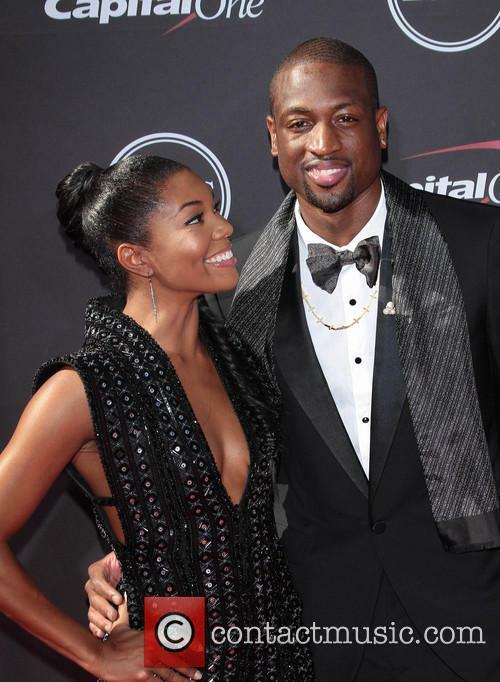 Continue reading: Dwyane Wade Welcomes A Baby Boy, But It Ain't Gabrielle Union's! 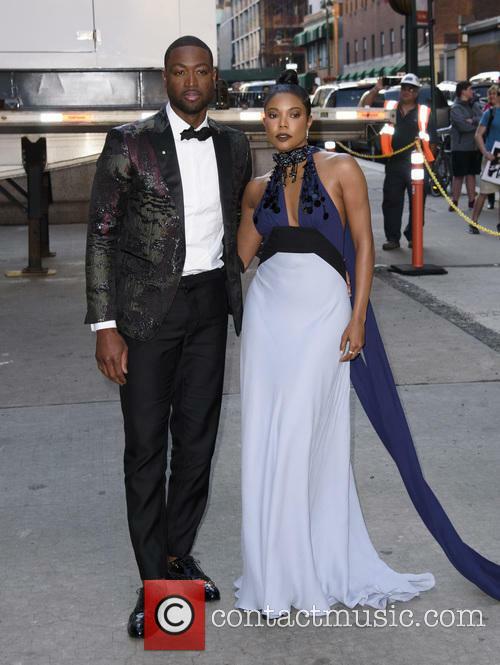 Dwyane Wade fathered a third child, while on a temporary break from Gabrielle Union, with an unknown woman, but the actress knew about this before accepting the basketball player's proposal. NBA star Dwyane Wade may have just had the happiest Christmas ever as he recently proposed to his longtime girlfriend Gabrielle Union on December 21st and she said yes. However, this nearly never happened due to the 31 year-old basketball player's reckless behaviour. The Miami Heat guard has allegedly fathered a third child to an unknown women while on a temporary break from the Hollywood actress, Entertainment Tonight reports. NBA champion Dwyane Wade shakes hands with his fans while he signs copies of his new autobiography 'A Father First: How My Life Became Bigger Than Basketball' at Books and Books at the Museum of Art in Fort Lauderdale, Florida. One of the fans is a young girl who puts a smile on Wade's face as he offers his hand for a high five. Professional American basketball player Dwyane Wade is interviewed at a signing for his new book 'A Father First' at Books and Books in the Museum of Art at Fort Lauderdale in Florida. He explains that he wrote the book for people to 'take away from my failures and my successes' and hopes that it will give readers a different way of looking at things. Miami Heat player Dwyane Wade compares his upbringing to his children's in an interview at a book signing for his new autobiography 'A Father First' at Books and Books in Fort Lauderdale, Florida. 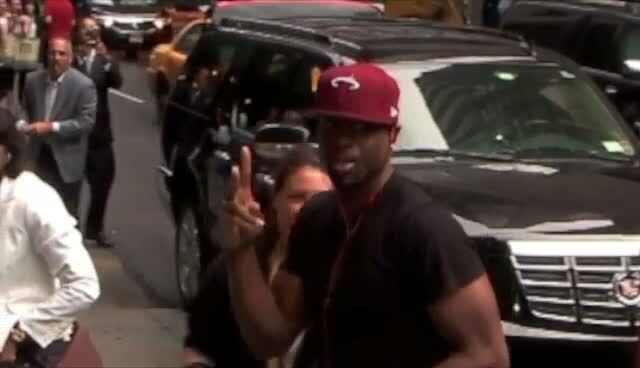 Basketball champion Dwyane Wade arrives at the Ed Sullivan Theater in New York City for his appearance on 'The Late Show With David Letterman'. He very briefly poses for pictures as he steps out of his car before entering the building.